Yossi Milo Gallery is pleased to announce an exhibition of color photographs by Robert Bergman. The exhibition, entitled A Kind of Rapture , will open on Thursday, November 5, and will close on Saturday, January 9, with a reception on Thursday, November 5, from 6:00 to 8:00 pm. Mr. Bergman has taken photographs for over 40 years; however, this year marks the premiere exhibitions of his work. 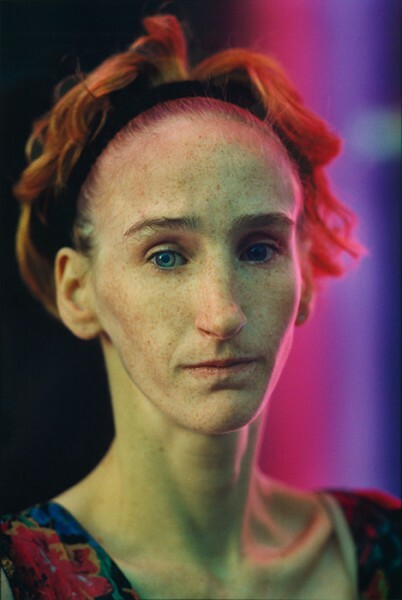 From 1985 through 1997, Robert Bergman traveled America’s Midwest and East Coast by car with a 35mm format camera, taking portraits of people he met by chance. After spending a brief time with each subject, Bergman created portraits of people in the urban locations where he encountered them, using only available light. The exhibition will include approximately seventeen 37″ × 24.6″ digital C-prints. The gallery’s exhibition will coincide with the artist’s two debut solo exhibitions at the National Gallery of Art, Washington, D.C., Robert Bergman (October 11, 2009 – January 10, 2010) and at P.S.1 Contemporary Art Center, New York, Robert Bergman: Selected Portraits (October 25, 2009 – January 4, 2010). Mr. Bergman’s book, A Kind of Rapture , was published in 1998 by Pantheon and contains essays by Nobel Prize and Pulitzer Prize recipient Toni Morrison and renowned art historian Meyer Schapiro. Robert Bergman was born in 1944 in New Orleans. He currently divides his time between Minnesota and New York.